British Airways has announced a complete overhaul of its On Business small & medium sized enterprise (SME) loyalty programme. 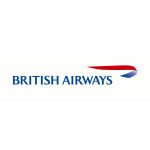 In a move that has been widely anticipated, especially by members of the carrier’s also-soon-to-change Executive Club frequent flyer scheme, BA has revealed first details of what is to become a revenue-based programme launching on 27th May 2015. Although the Executive Club changes have only recently been announced, and include changes broadly limited to revised earning and redemption rates still based on zones and distance, the On Business review sees the effective closure of the existing programme on 24th May 2017, and its relaunch on a completely new platform three days later. As On Business has hitherto run on a modified Executive Club IT system, it will be interesting to see whether, in the longer term, EC rejoins OB from a technical point of view, and becomes revenue-based as well. Earnings based on fare paid, rather than zones travelled to. Membership tiers, with earning rate multiples based on annual-spend. Redemptions based on regional bands, with premium cabin redemption rates largely increasing, and economy redemptions decreasing in terms of the number of points required. Earning and redemption to be possible on American Airlines and Iberia as well as British Airways. Existing points balances converted at a rate of 1:2 (existing:new) on 27th May 2015. Cash discounts of at least 5% available on selected flights worldwide. Unredeemed points will expire at the end of the second calendar year after earning – rather than at the end of the third year as at present. And, interestingly, ‘eligible’ booking classes in the new programme seem to include ‘R/I’ class (lowest business) and ‘T’ class (lowest premium economy) which were not available to upgrade from in recent years under the current scheme. There are obviously a number of ways to review the changes, from a simple assessment of how much current balances will be worth in the new scheme, to a far more complex calculation based on which tier member companies will fall into post-changes, and their associated earning rates compared to those they’ve historically seen. Earnings will also be affected by the member company’s booking ‘profile’ and whether their regular routes were at the ‘generous’ or ‘less generous’ end of the spectrum in terms of cost vs distance. Those saving for a First return to New York will be disappointed; those aiming for a Premium Economy ticket to Sydney will be much happier. The real-world implications of the changes will take much longer to become clear and, as mentioned, will depend quite specifically on each member company’s booking and spend profile. They’ll also depend on some as-yet unannounced confirmations, such as details pertaining to redemptions on American and Iberia. For more details of all the changes that have so far been announced though (and to view that truly hideous grammar in the FAQs posted thereon) visit ba.com. British Airways route from London Heathrow to Leeds Bradford is being promoted to UK business travellers with an additional incentive to join the airline’s On Business corporate loyalty programme. A bonus award of 3,120 On Business points will be made to newly-enrolled businesses who join the programme with a special code by 31st December 2013, and have two of their travelling employees complete an eligible flight sector. The bonus award itself equates to the number of points required for two reward flights between Heathrow and Leeds Bradford, and is in addition to the ongoing ‘triple points’ bonus for the first six sectors flown following joining. There is no requirement to fly to and from the Yorkshire airport to trigger the bonus, and the additional points will post to the company’s account within 31 days of the eligible flights being taken. The On Business programme operates alongside and in addition to the British Airways Executive Club, so that individual passengers continue to earn Avios and Tier Points while the company earns On Business points on top. Points may be used for reward flights and upgrades, with availability generally greater than that for Avios redemptions. Points can also be redeemed for Marriott hotel stays. To join On Business, visit ba.com and to enrol for the bonus points enter the code ‘OBLBA1‘ in the enrolment code field. For full terms and conditions of the promotion, click here.